Cameo. 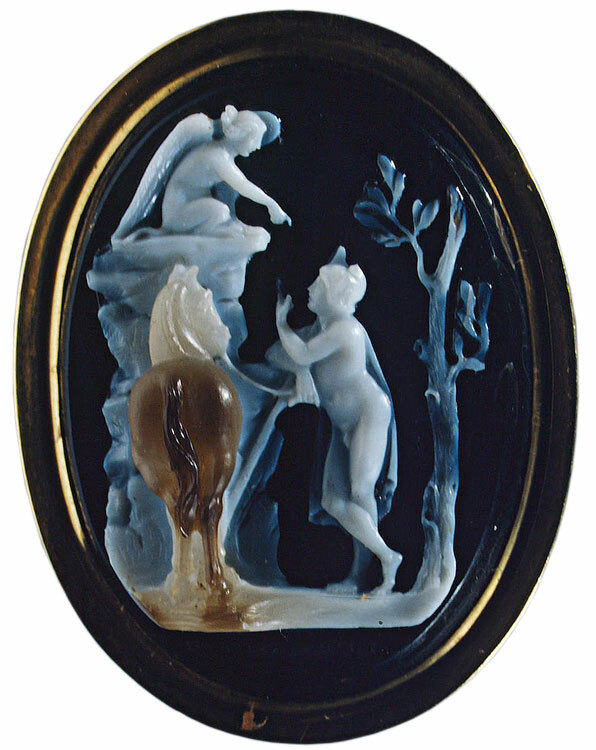 Three-layered sardonyx, gold. 3.5 × 2.6 cm. Below, under the line of the ground, the signature: N.T. MASTINI F. Saint Petersburg, The State Hermitage MuseumInv. No. К 1774. Below, under the line of the ground, the signature: N.T. MASTINI F.
Receipt: 1813, from the Mallia collection. © Photo, text: Antichnoe nasledie v iskusstve Zapadnoi Evropy. Katalog vystavki. s. 93 cat. No. 80.